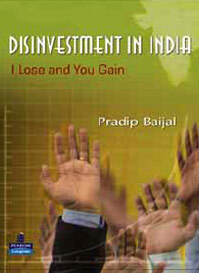 Although Pradip Baijal’s book—Disinvestment in India: I Lose and You Gain— is a decade old, it is still relevant because the deliberate misconceptions that he wove are still in vogue within the government. A civil servant, generally, is a Master (pardon the gender bias) of Manipulation. She (bias corrected) is, generally, adept at the art of using arguments, sometimes bizarre and sometimes inept, to convince her critics. This is beautifully done in Pradip Baijal’s book, Disinvestment in India: I Lose and You Gain. He was associated with the disinvestment process for over a decade (1993-2003), as the secretary in the disinvestment ministry, and was well-known, along with his minister, Arun Shourie, during NDA-1’s regime for a string of controversial “strategic sales”. 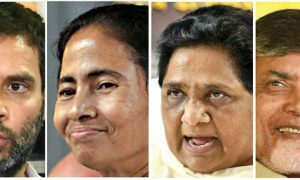 Although Baijal’s tome is a decade old, it is still relevant because the deliberate misconceptions that he wove are still in vogue within the government. This is amply clear from the ongoing privatisation of Air India, which will be sold as four separate corporate entities to private buyers. The twisted logic to sell the state-owned airline is as convoluted as the one given years ago when public sector companies such as Bharat Aluminium (Balco), VSNL, Hindustan Zinc and individual hotels of ITDC and Hotel Corporation were sold. 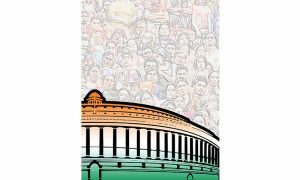 The process involves the officials and ministers’ ability to suavely set aside established economic norms, notions and conclusions. It includes the necessity to quickly, quietly, and skilfully change the goal posts as and when required. It imbibes the talent to confuse and obfuscate, and sometimes throw up their hands in frustration that this is what they were asked to do. The fact remains that the procedure continuously, and effectively, throws up new questions even as the policy makers fail to answer the old ones. Experts seem to believe that auctions and bidding are the best way to sell assets through strategic sales, where the ownership shifts from the sellers to the buyers. This isn’t strictly true as, like any other process, auctions can be rigged, fixed and manipulated. In fact, Air India offers an example of the flaws in auctions. 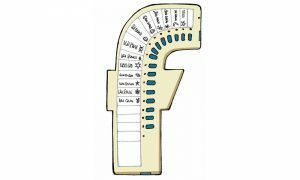 In addition, there are other components of the process, which are fiercely debated among the proponents and critics. 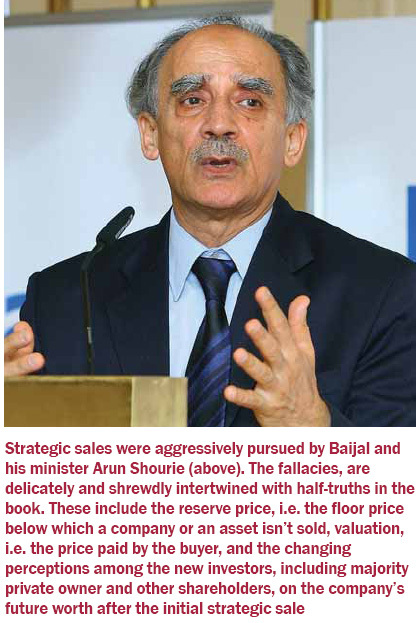 Let’s discuss three issues related to strategic sales (aggressively pursued by the Baijal-Shourie duo) raised in the book, and dissect the fallacies, which are delicately and shrewdly intertwined with half-truths. These include the reserve price, i.e. the floor price below which a company or an asset isn’t sold, valuation, i.e. the price paid by the buyer, and the changing perceptions among the new investors, including majority private owner and other shareholders, on the company’s future worth after the initial strategic sale. But such subjective observations, and legal precedents, cannot, and should not, be used to negate the importance of reserve price. Even an undergraduate student of economics, in India and globally, knows about the significance of a floor price. Various international researches, especially since the growing use of Internet since the late 1990s, have concluded that a reserve price does have crucial implications on the final price paid by the bidders. It is now conclusively established that a lower reserve price enhances competitions in auctions, but lowers the final price paid for an asset. Logically, a higher floor price maximises the seller’s revenues. However, this happens only if the asset is sold because the former can reduce the number of participating bidders. In fact, the fixing of reserve price isn’t subjective or irrelevant, but a crucial component of an auction’s arithmetic. FOR economists and governance experts, the floor price provides noteworthy insights into the mindset of a seller, be it an individual, government, or a company. For example, several decades ago, when the Margaret Thatcher’s government sold British Telecom in a seminal case of privatization, the sale price was deliberately kept low. The logic: Britain sold the shares in the open market, and wished the buyers, especially the small investors, to benefit from the possible increase in post-sale valuations. 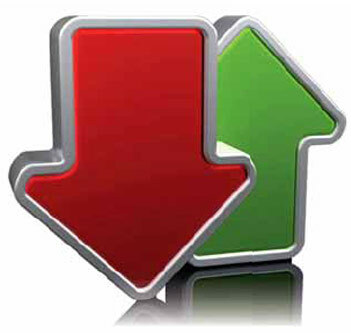 In the same vein, a higher floor price indicates the seller’s wish to maximise profits. In fact, the fixing of the floor price is an objective exercise, compared to the valuation, i.e. the paid price, which is subjective, and can be completely skewed as if pulled out of thin air. Baijal acknowledges this, although his aim is to demolish the concept of valuation. He writes that there is no precise science of valuation, which is largely based on the buyer’s “perceptions, future business assumptions, discount rates assumed and risk perceptions”. “At best, valuations can only serve as a benchmark for decision making. Ultimately, valuations can only be determined in the market place by competitive bidding,” he writes. These issues are evident in global takeovers, including those in the most-developed nations in North America and Europe. During a bidding war, or in the case of hostile takeovers, valuations hop, skip and jump for no reasons whatsoever. After all, on what basis does a bidder hike his offer price by 100-200% within days and weeks? Let’s revisit the most high-profile and expensive global acquisition made by an Indian in 2007 – the Tata’s takeover of European Corus (steel) for $12.1 billion. According to a newspaper column, “Corus was then (in the early 2000s) a penny stock and available for 10% of the value that Tata Steel eventually paid for it.” If this wasn’t enough, the Tata Group finally paid 30% higher than the original “negotiated price” announced by it. Like a true civil servant, who tries too hard to convince critics, but uses flawed logic, Baijal ends up getting burnt. His arguments are twisted and knotted in his contradictory reasoning. For, he uses the figures for valuations to justify how the privatised state-owned entities later gave huge returns to their shareholders, including the new and past (government) owners. Post-disinvestment, the share prices of most companies went up, and Baijal deems this to be the pinnacle of the process’ success. So, how does Baijal explain the reduction in the share prices in several cases? Well, isn’t it obvious—of course, the winning bidders overpaid? Hang on, by the same logic, doesn’t it imply that in cases where the scrip prices moved up, the private buyers underpaid? Not so to Baijal, who gives seemingly-contradictory reasons to justify his ministry’s policies. Let’s consider the two tales of IPCL and IBP. A state-owned energy giant, Indian Oil, was partly interested in the first, which went to Reliance Industries, owned by Mukesh Ambani. IOC successfully purchased IBP. Even before the petrochemicals major, IPCL, was put on the block, the buzz was that the Ambani clan – at that time the patriarch, Dhirubhai, was still alive and his two sons hadn’t split—wouldn’t let it go out of its clutches. However, while the disinvestment process was on, IOC put a spanner in the wheel. It showed its keenness to buy the Baroda unit of IPCL “on account of their refinery’s integration with this unit, to which the government agreed”. Reliance paid Rs. 231 per share, or almost Rs. 1,500 crore for a 26% stake. It valued the company at almost Rs. 6,000 crore; in retrospect, IPCL’s asking price of Rs. 1,200 for its Baroda unit from IOC seems fair. After this deal, IPCL’s price slumped; almost two years later, the government sold a part of its shares to the general public at Rs. 170 per share. Even four years after the Ambanis bagged IPCL, the scrip price hovered around Rs. 250, despite an over four-fold increase in annual revenues, over seven-fold hike in annual profits. Now, let’s look at the scenario described above, where the post-sale scrip prices shot up. A majority (51%) stake in CMC was sold to the Tata Group at Rs. 197 per share. Later, the government sold another 26% to the public at Rs. 485, a jump of almost 2.5 times. “The higher price in the market… recognised the strength of Tata’s majority ownership, and also an expectation that ultimately CMC would be merged in Tata Consultancy Services,” explains Baijal. Still, the Tatas paid a fair price for CMC. One can see the fuzzy, blurry logic. In the case of IPCL, Reliance paid a ‘fair’ price, as the future valuation remained almost the same. In the case of IBP, when the future worth slumped, IOC overpaid for the company. 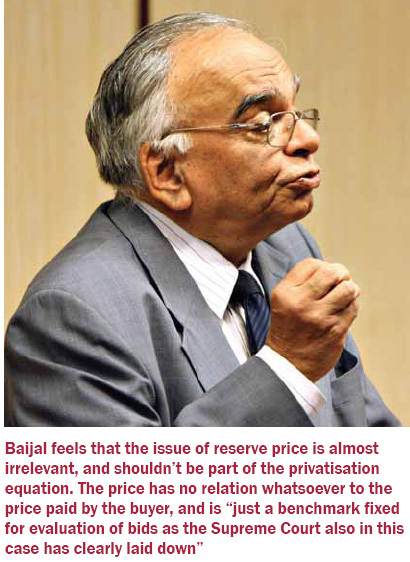 But the real, and clouded and confused, issues arise when Baijal analyses public sector units, whose valuations jumped after the strategic sales. In the case of CMC, Baijal doesn’t think that the new owner underpaid, even though one needs to logically assume it if one accepts that the buyer overpaid for IBP. Baijal is clearly going around in circles, sometimes clockwise, and other times anti-clockwise. One isn’t sure what Baijal wishes to prove. Are valuations for real or just benchmarks? If the former, an overbid also implies an underbid in another case – if IOC paid more for IBP, the Tata Group paid less for CMC. Doesn’t this imply that the government could have got more in the latter case? Should the government be merely interested in selling off public assets at any price, without bothering about reserve prices and valuations? Should it focus on maximising the prices from the sales of its crown jewels? GOVERNANCE : ‘Sagarmala’ Corporate Colonising of India’s Coast?